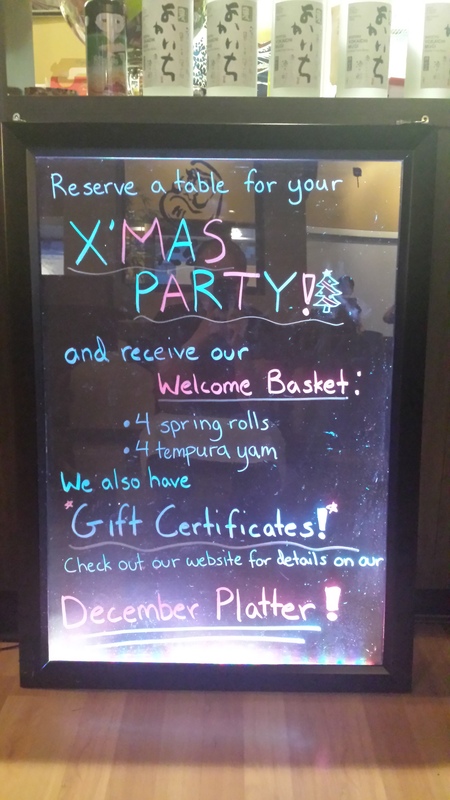 Christmas Party Sushi Daruma Style! As our December special deal, when you make a reservation, you will receive our welcome basket which contains below for FREE! !